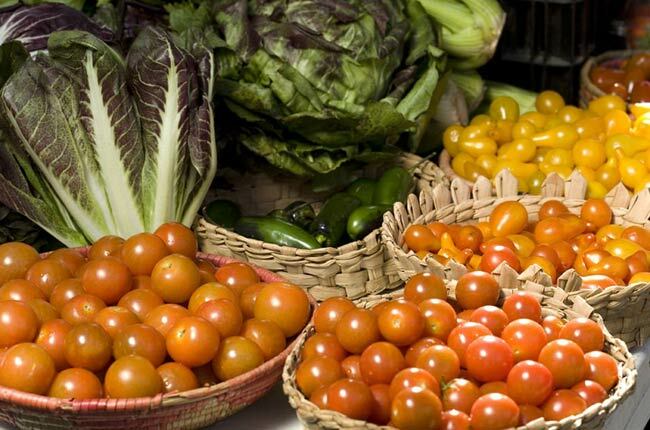 Monica Diaz Rivera is pleased to announce that the Cabo Farmer’s Market at Pedregal in Cabo San Lucas will continue throughout the summer and year round as long as there are those interested in organic fruits and vegetables. Contrary to some reports, this added value to the community with seasonally grown food produced within a drivable distance at fair and reasonable prices will not cease operation as some other markets in the area have announced. Individual vendors, mostly farmers who set up booths selling produce picked at the peak of flavor preserving the nutritional content, fruits, herbs, handmade cheeses, eggs and poultry from free-range fowl, as well as heirloom produce, are available every Wednesday and Saturday from 8 a.m. to 12 noon. Other vendors include artisans with unique jewelry, tamales, perogies, fresh flowers and more. The market helps farmers stay in business throughout the summer as well as to preserve the natural resources and maintain important social ties, linking neighbors in a mutually rewarding exchange. Stop by and enjoy a moment of time-honored tradition while selecting next week’s table fare. The Pedregal Market is a happening place at Mar Adentro Spa located at the base of the rear entrance to Pedregal across from the Camino del Colegio off the road to Pueblo Bonito Sunset Beach in Cabo San Lucas. This entry was posted in Los Cabos Social Events and tagged cabo, Cabo San Lucas, cheeses, eggs, farmers, fruits, herbs, market, organic, pedregal, perogies, poultry, tamales, vegetables, vendors on May 24, 2011 by admin.